If you remember a while back, I wrote this post on our blind tasting class at Corkbuzz. It was so much fun to learn about the process of blind tasting and the typical characteristics of six "classic" wines. At the end of that post, I said to stay tuned for tips for hosting your own blind tasting dinner. Well, alas, here are the pointers! 1. Figure out how you're going to select the wines. For our dinner, we were lucky enough to have Shawn, the manager of Corkbuzz, select AND wrap the wines for us. This allowed us to keep dinner small, ourselves and one other couple, but still have the tasting be completely blind to all of us involved. If this is an option for you, I HIGHLY recommend it. If this is not an option to you, have no fear! The second option is great as well, but you may want to increase your numbers to have more wines to try that you don't know what they are. Just food for thought. Other ideas could be focusing on a grape variety, region of the world or price range. You could also suggest everyone bring their favorite "x" -- every day wine, wine from Trader Joe's, whatever floats your boat. The sky is really the limit when it comes to deciding the theme! 3. Decide how you want to taste. Do you want to simply rate the wines to decide a winner? Or would you rather fill out the full blind tasting grid? Or do you want something in between? This will help you decide how the evening will flow and decide if you want to have any paper on the table! For our dinner, I wanted something in between. I didn't want to do the full blown grid, but also wanted us to practice our identification skills. Because of this, I created my own testing sheet to use. It had primary aroma, primary flavor, the guess as to if it's Old World or New World, and a spot to take a stab at the grape variety. You can create a document for whatever points you want to hit, or scour the internet for one that's already made. See the bottom of this post for a few resources I think could be helpful for your table. This can be tough since you don't know what others are bringing. Kevin and I decided to have mild flavored foods that would seem to pair with many wines so we wouldn't risk a horrible pairing. Our guests prepared a delicious appetizer plate with a variety of charcuterie, cheeses, and crackers, and we made an easy, roasted pork tenderloin as the main dish. Overall, it worked out pretty well! It's so cheesy to have this be the last tip, but I always like to emphasize it. People take wine way too seriously, so while you may be practicing how to blind taste, it should still be fun! Be confident in what you smell or taste and talk it out among your guests. After all, you're ultimately having food and wine with friends. Can it get any better?! In case you're curious what our wines ended up being, here's the reveal! We didn't expect it, but Shawn gave us the same grape variety for the Old World vs New World. It was great to see how the grapes can express themselves so differently depending on location. Terroir in action! 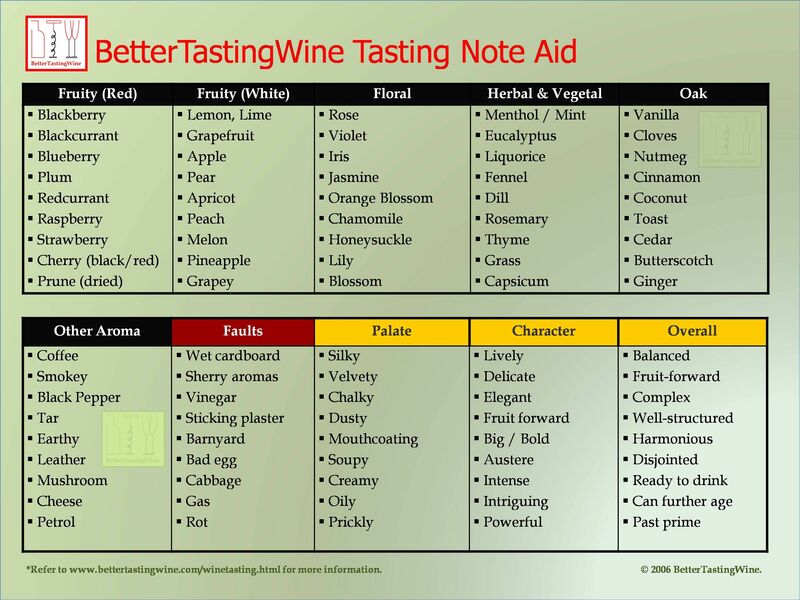 Wine Folly's 18 Noble Grapes - This helps with choosing "classic" single varieties.